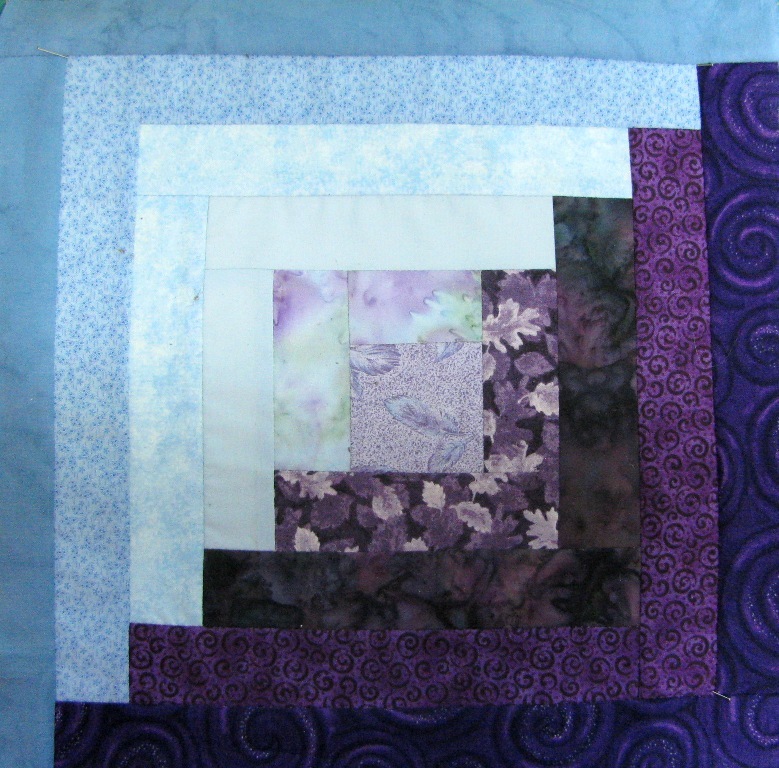 The Quiltsy Team on Etsy has organized a round robin quilt. This time the blocks come from all over the world, including Canada, Australia, Israel and many parts of the US. The pattern is log cabin and the color range is blues, greens and purples. 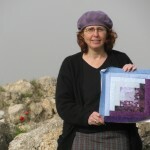 Each time someone posts a block, she sends a photo with the block within a scene indigenous to her home. 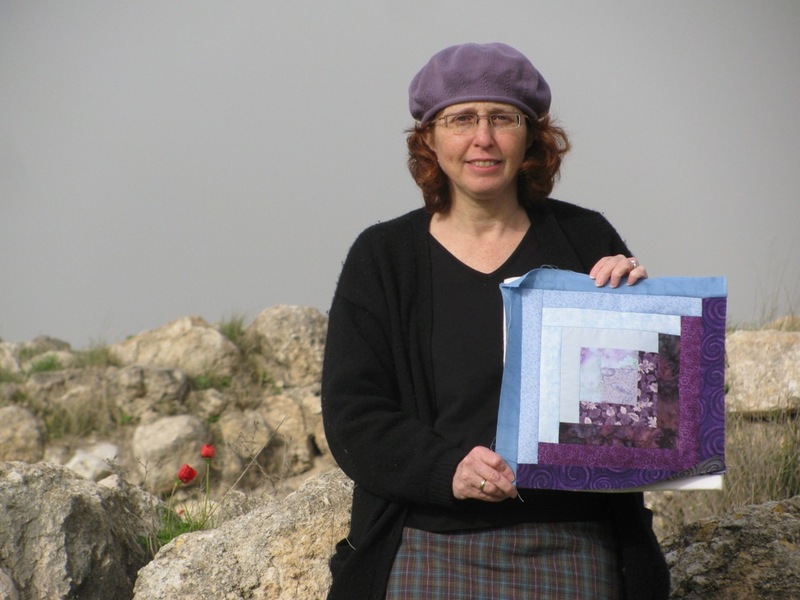 All the posts appear in the Quiltsy Blog.I took a photo of my block on a windy day while standing in front of the ancient wall at Tel Tzora, Israel, famous for Samson and Delilah, which is just a few minutes from our house.